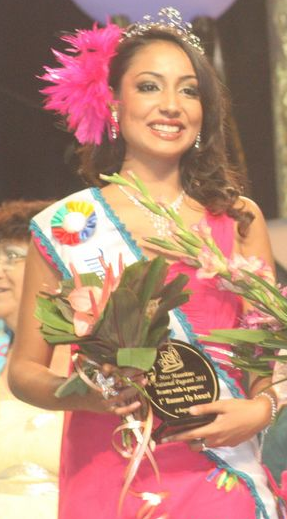 PHOENIX, Mauritius - Ameeksha Dilchand won the Miss Mauritius 2011 pageant held at the J&J Auditorium in Phoenix. She will represent Mauritius in Miss Universe 2012. Shalini Panchoo and Ingrid Padaruth finished second and third, respectively. 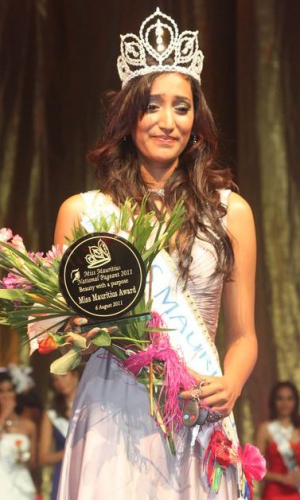 Since Miss Mauritius 2011 will be 26 years old next year, she will not be able to represent Mauritius in Miss World 2012 because she does not meet the age requirements of the international pageant. First runner-up, Shalini Panchoo, will represent Mauritius in Miss World 2012. Miss Mauritius 2011, Ameeksha Dilchand, will compete in Miss Universe 2012.